This big guy is truly the team hero! 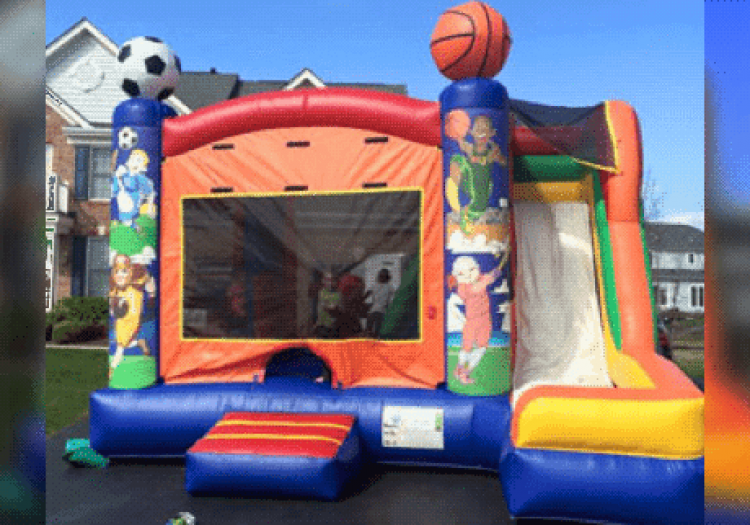 This combination bouncer is a Sports themed combo rental with a large double slide to the outside. Inside in addition to the bouncer, the kids can shoot basketball too! This unit measures 30 ft. x 15 ft. and made of durable vinyl with room for all. We offer free delivery to town such as Manassas, Gainesville, Haymarket, Centreville, Woodbridge, Prince William County and parts of Fairfax County.